Standing outside COW BOOKS in Nakameguro, one could almost imagine a black and white speckled cow lumbering out of the store, beckoning you to step in. 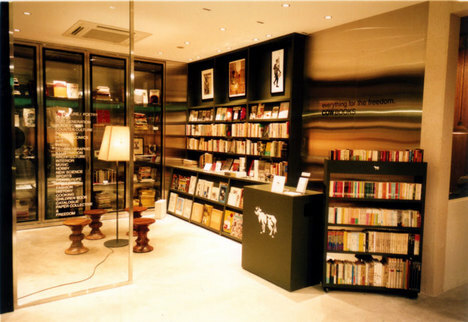 Founded in September 2002 by the indomitable duo of book critic Yataro Matsuura and creator of neighbouring General Research’s Setsumasa Kobayashi, COW BOOKS can be said to be the neighbourhood’s landmark. 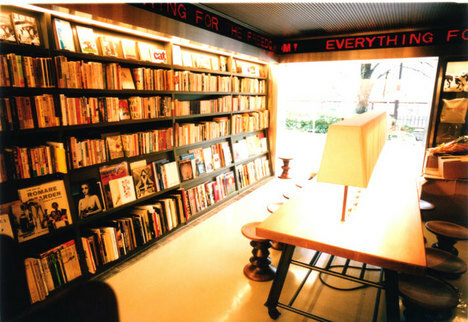 Its eclectic selection of books, hand-picked by Matsuura’s discerning eye, and attentive staff make this bookstore one of the best retail experiences you will ever get. The book store was founded on the principle that books that the founders loved should be showcased with respect, and shared with the public. For COW BOOKS, it is not simply “selling” that is the key goal here but rather engaging the customer in a complete product experience, be it with vintage books or COW’s in-house products. 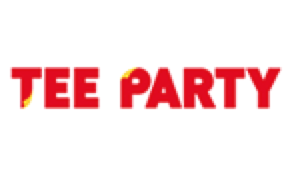 Everything is really for the freedom, of both the store and its customers. In that respect, the store does not stock the typical titles that you may find in larger chain bookstores. It takes pride in its well-stocked library of lesser-known titles, providing an alternative reading experience to those tired of the same-old page turners. 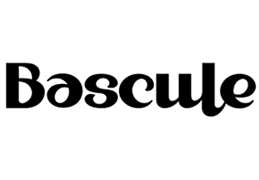 The success of the store has led to the opening of a sister store in the trendy Minami Aoyama district. This same philosophy of collaboration and the desire in wanting to share the things they loved with others, led to the creation of a understated product line. 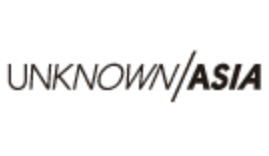 The clean aesthetic and almost cheeky use of the cow logo reminds us of Kobayashi’s design ethos. Completing the retail experience, COW also serves coffee (at 315 yen a cuppa) to enjoy at the shop’s long wooden table as they lose themselves in the words of Beat Generation writers, or collected photograph anthologies. Chuckling, store manager Shigeru Yoshida tells SHIFT that “I’d recommend all the books here.” In particular, book fans may enjoy the whimiscal doodles in ananas press’s ‘Science Nonfiction’. The shop also stocks an abundant supply of vintage magazines ranging from old copies of Brutus to Gurashi no Techo (Guide to Living). 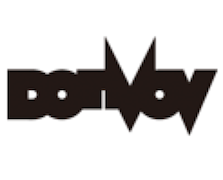 As briefly mentioned early, COW’s over two thousand titles are selected by book collector and critic Matsuura, whose spoils from overseas book-hunting trips often turn up on the shelves for fellow book lovers. It is this devotion to forgotten and rare printed matter that lends a charismatic air to the store. Manager Shigeru also reveals to SHIFT that their foreign fan-base has been steadily growing in the past three to four years. 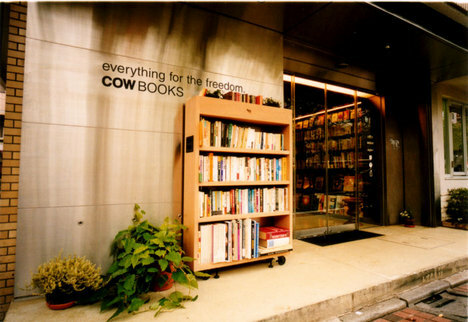 It’s no surprise, seeing as to how COW BOOKS brings a careful balance of East and West in their small nook in Tokyo. While the store is small, it has ample space for customers to move around and peruse. 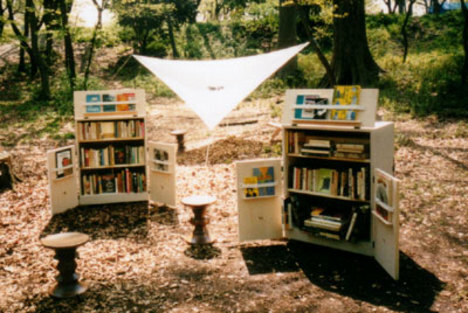 Reading at the centerpiece wooden table, and shuffling your feet along the woolen carpet, I’m sure that COW BOOKS will awaken the bibliophile in you. Otherwise, if you fancy getting familiar with the great outdoors, COW BOOKS also has sturdy wooden benches lining the front of the store and the river, letting you browse at leisure to the sounds of the Nakameguro stream. COW BOOKS is a store where books would love to find themselves in, and where book-lovers will loathe to leave when the store closes at the end of the day.